Here is a good news for the buddies who are looking forward to buy a low cost tablet for this new year. Back in October, Karbonn launched the two new tablet namely Smart Tab 3 Blade and Smart Tab 9 Marvel. 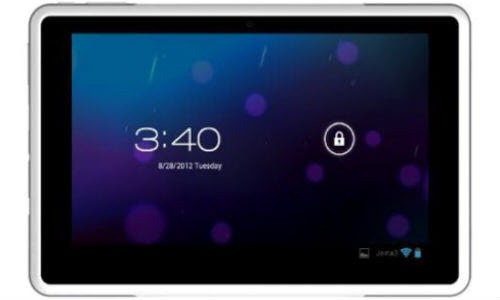 Now, again it launched the new tablet namely Smart Tab 7 Tornado. It is a 7 inch tablet with the screen resolution of 800 x 480 pixels, and would have a neat and sharp design, while the processor is going to be a 1.2 GHz one with the Cortex-A9 core design. It runs on the android 4.0.3 Ice Cream Sandwich Operating System. It has 2 megapixel rear camera, 0.3 mega pixel front facing camera for video calling. Further it has 4 GB internal storage, 512 MB RAM, Micro SD card for expandable memory support upto 32GB, Wi-Fi, 3G through dongle and a 4,000 mAh battery and that would be enough to provide a good 7 hours of Wi-Fi usage and web browsing and the battery life with video and music playing would depend on many factors. One interesting thing about this tablet is it comes with many pre installed apps especially for Indians. It includes Google based apps, JustDial, Times of India, Economic Times, Saavn Music Streaming app, Hungama MyPlay, Angry Birds and Ibibo. The cost of this tablet in Indian Market is 5499. You may get few other tablets in the same price range, but the processor and battery are better in this tablet when compared with others.